Very sad and surprised last night to hear of the passing of Philip "Flip" Sloan, songwriter/guitarist/singer extraordinaire. I'd just been speaking of him a few nights ago in Norway, when Mike Mills queried me about the authorship of "In The Ground", apparently confused by my stage introduction to the song at one of the Ice Station Vadsø shows, when I announced it, quite seriously I guess, as: "Here's a song by P. F. Sloan." Mike had been under the impression that I wrote it - which I did. 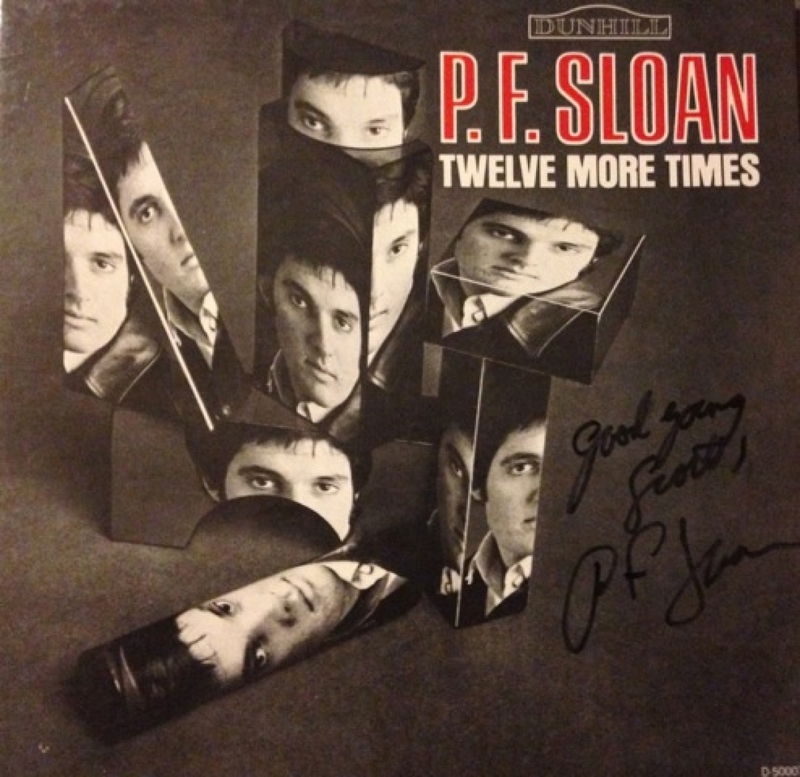 But as I felt it was the closest I might have come to a P. F. Sloan song, I blurted it out as such. That's the kind of influence his music has had on me. So many brilliant songs, from the surf days of The Fantastic Baggys (I recorded "This Little Woody" during the first Minus 5 sessions) through countless hits (with his songwriting partner Steve Barri) by the Turtles, Grass Roots, Herman's Hermits, etc., to "Eve Of Destruction" and his exquisite folk-rock solo albums of the late '60s. I feel very fortunate to have met and recorded with him, and I found him to be a gentle and kind soul in our brief meetings. Here's to P.F. Sloan and the wonderful music he left us.